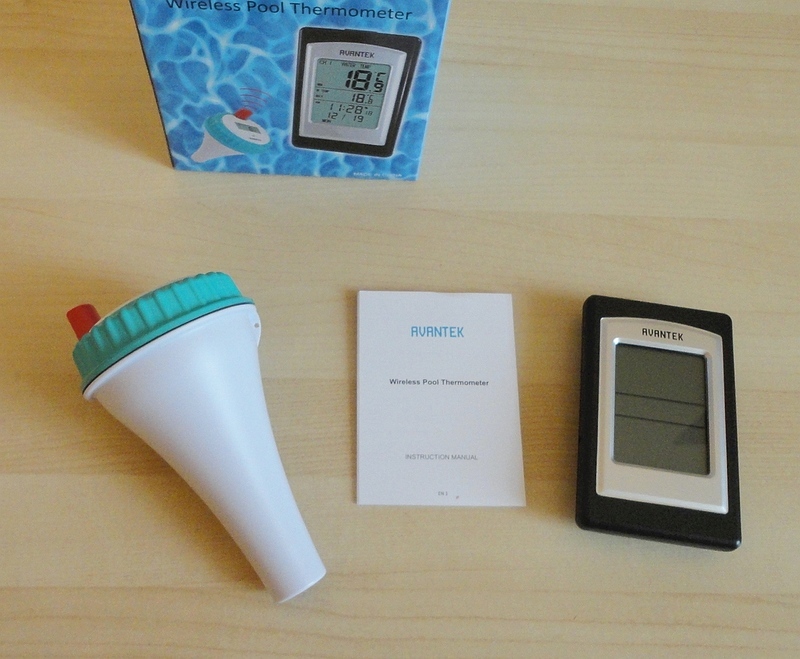 This review refers to the simple pH Tester Kit, a sample of which I gratefully accepted for evaluation purposes. 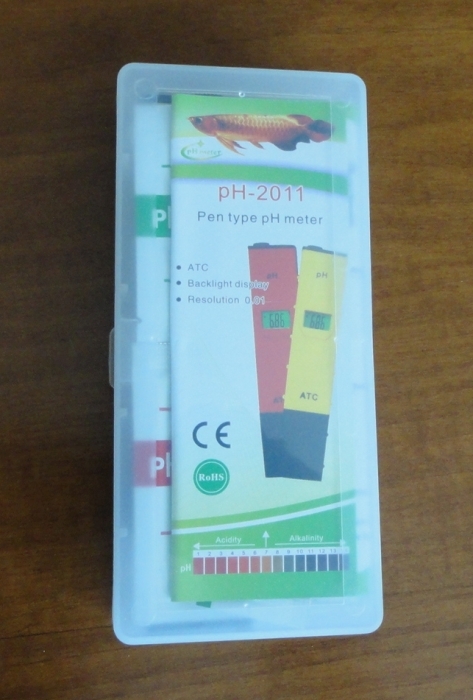 This is an excellent pH testing kit, complete with everything you need not just for now and next month but for the long term, because the tester is already calibrated and only needs refreshing in exceptional circumstances (i.e. after heavy use and/or after a prolonged period of non-use). To address recalibration, four pouches of buffer powder are provided. 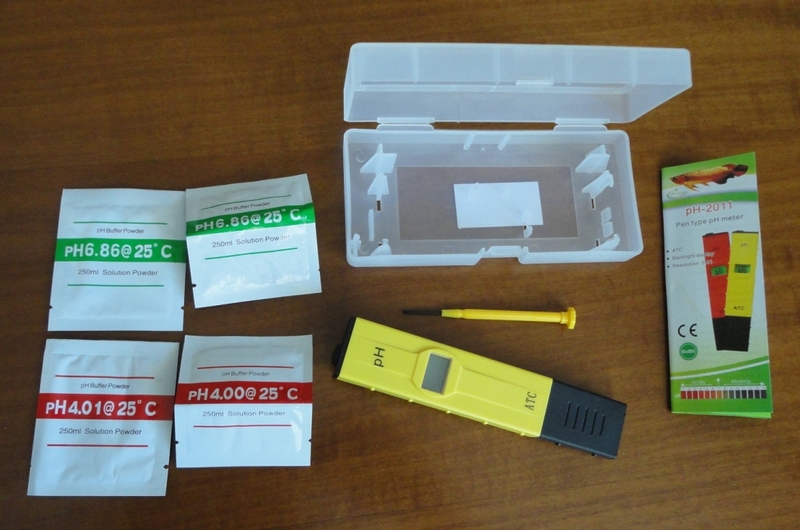 The kit is housed in a transparent plastic case containing the tester itself (with batteries already loaded), a screwdriver for physical resetting, four pouches of buffer powder (2 each of 6.86 and 4.01 pH), and a short and basic manual. The tester must not be immersed in water beyond the mark, so the glass method seems to work best. 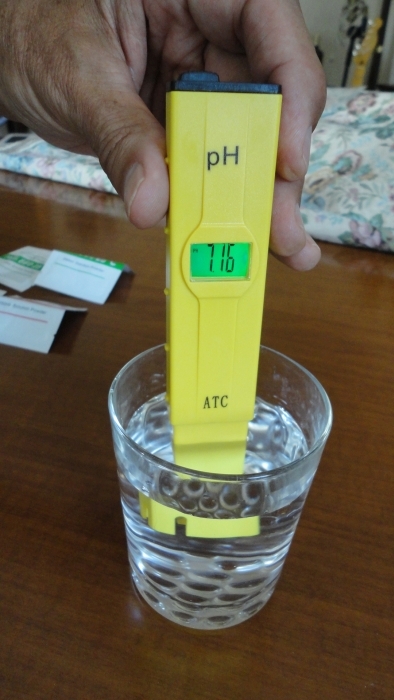 I had always suspected our tap water of being hard, so was surprised to see readings of 7.10 to 7.46. The swimming pool water was similarly close to perfect. But I knew that already as the water clarity gave a good indication. Compared to our previous method involving drops of coloured liquid, test tubes and comparing shades to faded colour charts, I think the digital display and readings of numbers with two digital points is a vast improvement. 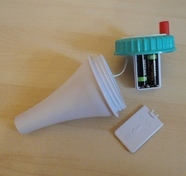 For our purposes, this tester kit delivers all the information we require in a really user friendly way. It's only when you buy something less well-made that you appreciate quality and good design in such a simple item. “V” clip which secures net head to pole: a potential weak link, some are so slack that they allow the net head to rotate negating its efficiency. The clip in this model springs back well when attached and holds the net in place. This skimmer is designed to fish out leaves, bugs and larger debris from the bottom, and if your pool has a liner, you will be glad of the smooth contour. 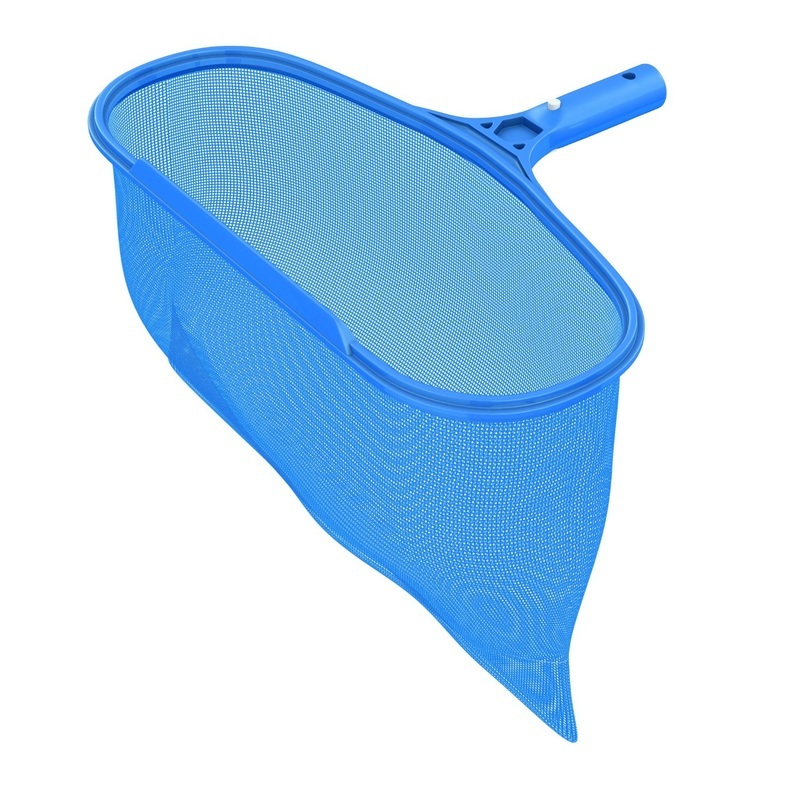 It works well as a surface skimmer, too, especially on larger pools as the net traps stuff and holds it (as long as you keep it moving) needing less frequent emptying. The netting weave is tight enough that it will trap all types of debris and insects. This humble product will last several seasons with no special care. This is one of those simple items where quality and good design are not so obvious … until you compare it to something less well-made. “V” clip which secures net head to pole: a potential weak link, some are so slack that they allow the net head to rotate with frustrating results. The clip in this model springs back well when attached and holds the net in place. 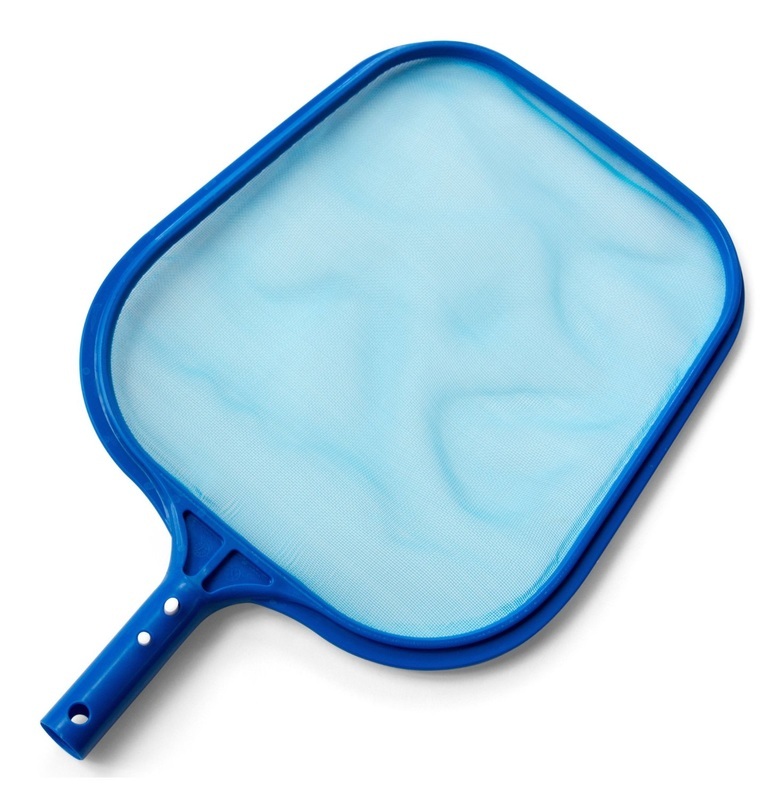 Although this is a surface skimmer, it can just as easily be used to remove the occasional bug or leaf from the bottom and if your pool has a liner, you will appreciate the smooth contour. The netting weave is tight enough that it will hold all types of debris and insects. With no special care, you can expect to get several seasons' use out of this humble product. 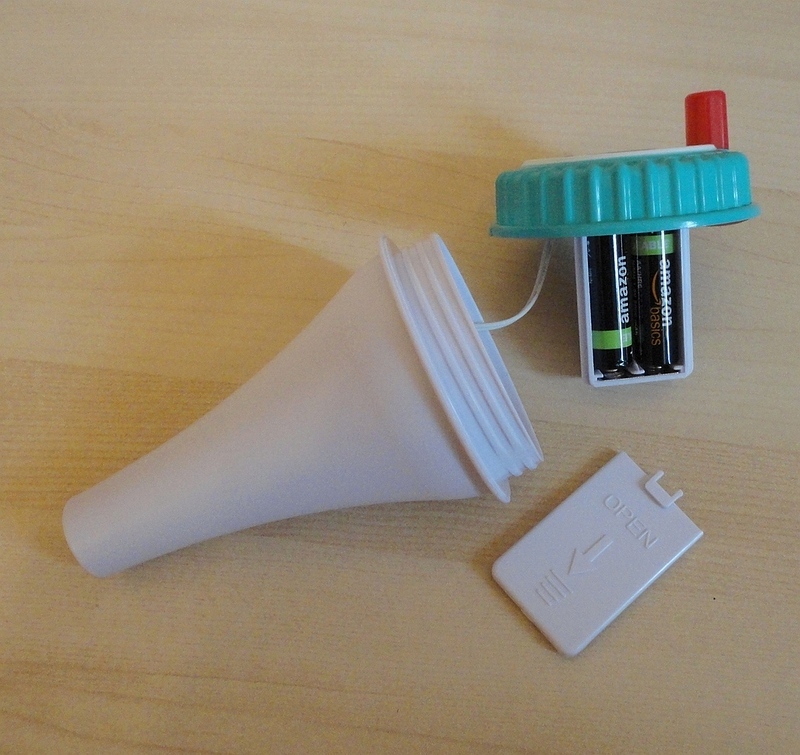 Such a simple gadget, it almost looks like a toy. It's a floating device which measures your pool water's temperature and sends the reading to a receiver at a clear, unobstructed distance of up to 330 feet or 100m (as usual, this distance is reduced by obstructions, such as walls). Our pool is a good 100 feet away from the nearest point of the house. The heater is even further away and it is sometimes a chore to pop out to check if the water has reached the ideal temperature for swimming. 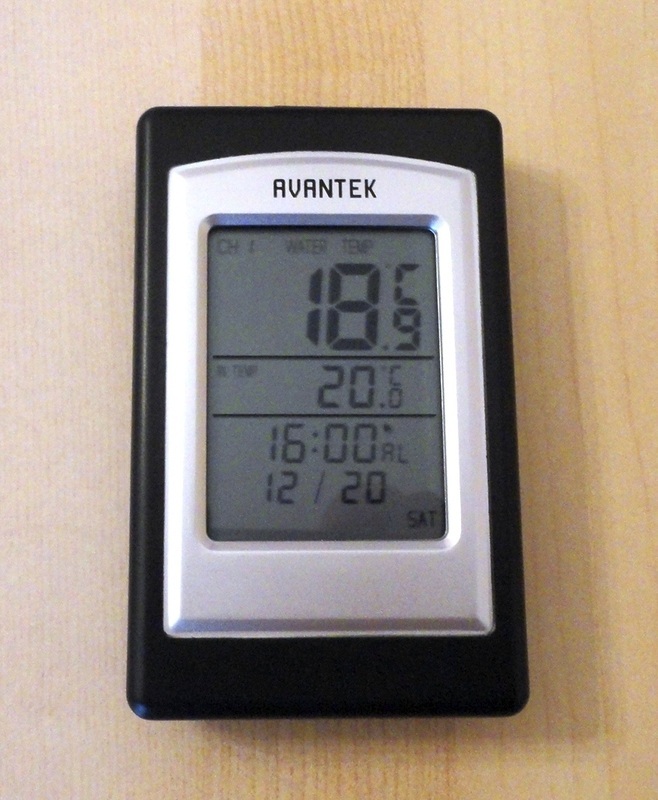 This remote thermometer is incredibly convenient and a real time saver, and I was delighted to have been offered a sample to review. Set-up is fairly simple. First you need to insert batteries (which are not included): the floating sensor requires two AA batteries (be careful when you unscrew the top as there is a wire that must not be broken); then a couple of switches need to be set, one to select the channel (default is Channel 1 which is fine unless you have bought more sensors) and another to set the temperature unit (degrees C or F). The display console runs on two AAA batteries, to be installed in the rear compartment. A few parameters need to be entered on the console, all explained by the manual (in English and German), such as date, time, hour mode. 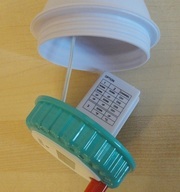 There is a function to set an alarm which, in my test, worked perfectly. 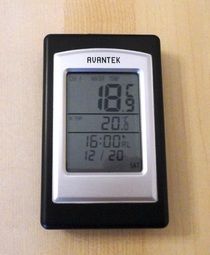 The display shows the ambient temperature, the current water temperature (updated every 90 seconds), and also keeps track of the minimum and maximum temps recorded (until cleared). So quite a few bits of information, which can prove quite useful, displayed in large, easy to read black digits. 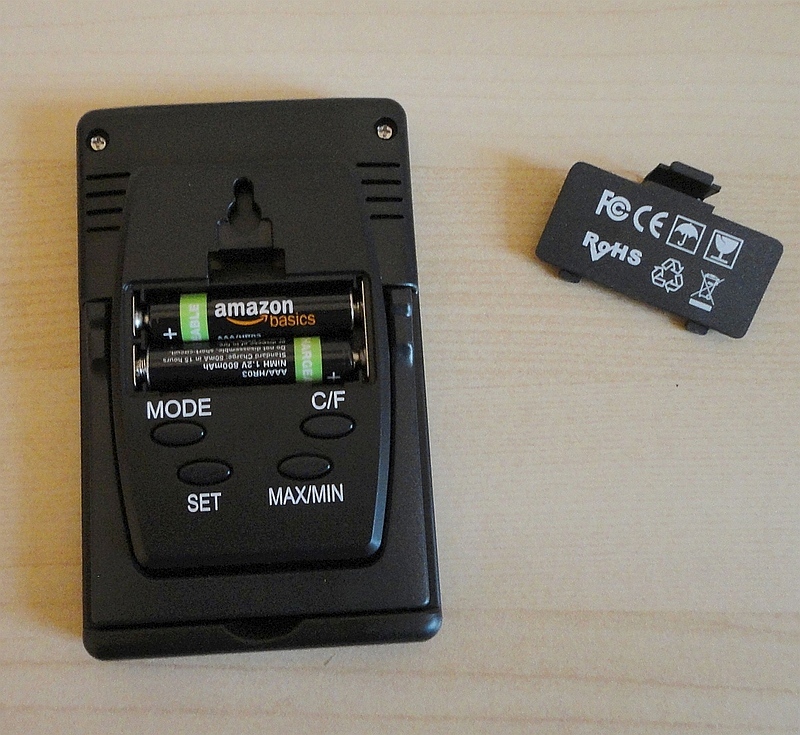 At under £14 (or US $25), this is a brilliant device that one appreciates more and more with use and familiarity.